We spoke with Reyne Hirsch, a 20th century decorative arts expert and consultant for the global online marketplace Lofty, about how to tell when a diamond is real, and when and why to take it to an expert. For jewelry you inherit or find at garage sales, it’s best to do a few simple DIY tests before bringing the pieces in for a gemologist to look at. Second, observe the diamond’s edges. 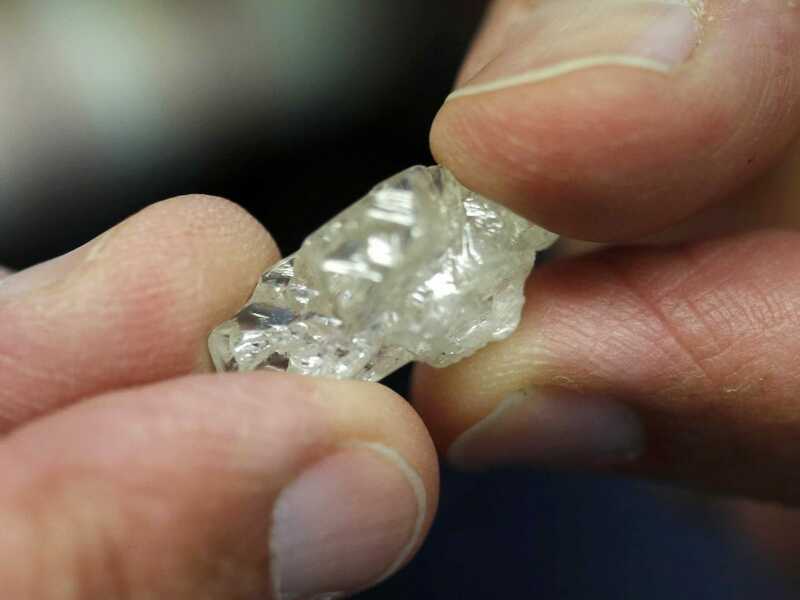 “When you’re taking a look at a diamond through a loupe, a real stone is going to have sharp edges, and a fake stone will have rounded edges,” Hirsch explained. This is an easy test since diamonds are one of the world’s hardest materials and won’t be scratched by the rough surface. “If it’s a diamond, it will remain perfect, if it’s a cubic zirconium, it will scratch it up,” Hirsch said. 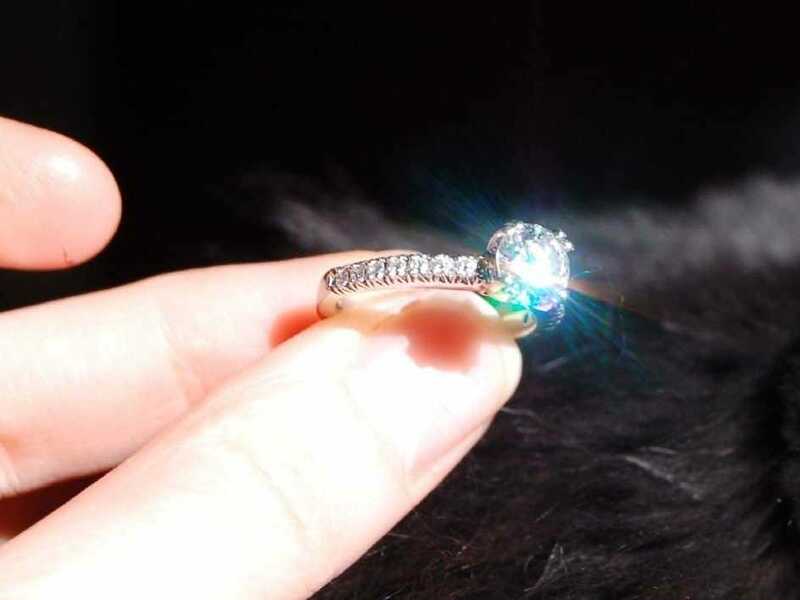 “A fake diamond will fog up for a short period of time whereas a real diamond will not because it won’t retain the heat,” Hirsch explained. The way that diamonds reflect light is unique: Inside the stone, the diamond will sparkle grey and white (known as “brilliance”) while outside of the gem, it will reflect rainbow colours onto other surfaces (this dispersed light is known as “fire”). A fake diamond will have rainbow colours that you can see inside the diamond. Still confused? This is a good explainer of brilliance versus fire. 5. Look at the stone’s refractivity. Diamonds are so sparkly because of the way they refract and bend light. Glass, quartz, and cubic zirconium may mimic a diamond’s brilliance, but they have much lower refractive indexes. This means that if your stone isn’t in a setting, you can place it over a newspaper and the light will scatter inside the real diamond and prevent a black reflection. A fake diamond will let the black shine through, and you may even be able to read a word depending on the size of the fake stone. If your diamond is mounted, make sure you can’t see through it to the mount itself — that’s a very bad sign. Once you’ve done all your home tests, it’s time to take your jewels that could be diamonds to a gemologist. But don’t just take your diamonds to any old jeweler. 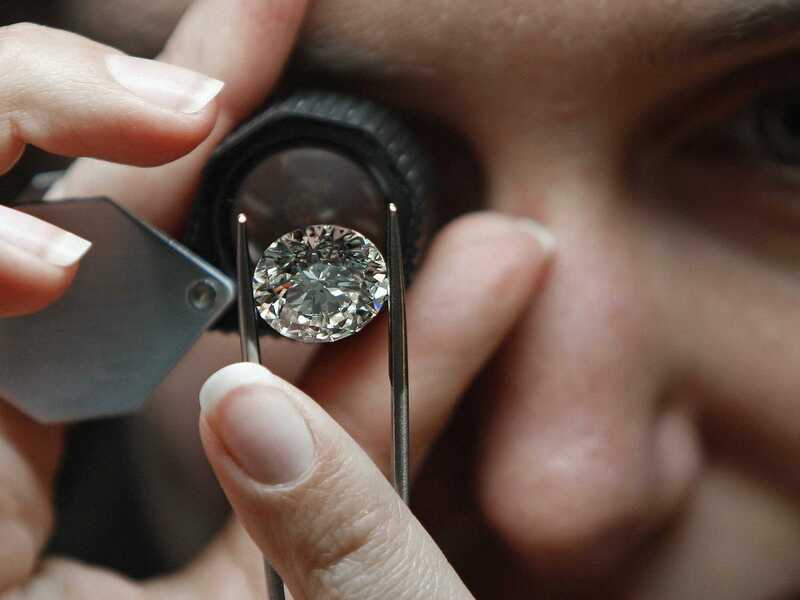 It’s important to do your research and find a qualified gemologist. Even if you know the jewelry you have contains diamonds, it can pay off to take them to a gemologist to know how much they’re actually worth. 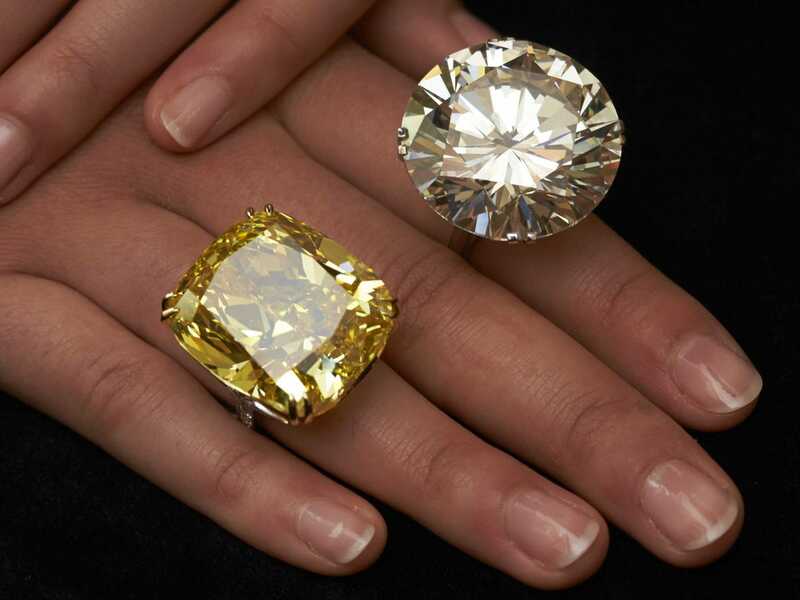 “Say you have five, 1-carat diamonds on the table — the cut, colour, and clarity will be a huge factor in why one is worth $US800 and one is worth $US10,000,” she said. White topaz — Topaz is a mineral that is usually tinted yellow, red, brown, or pale grey, but can sometimes be white or appear colorless. 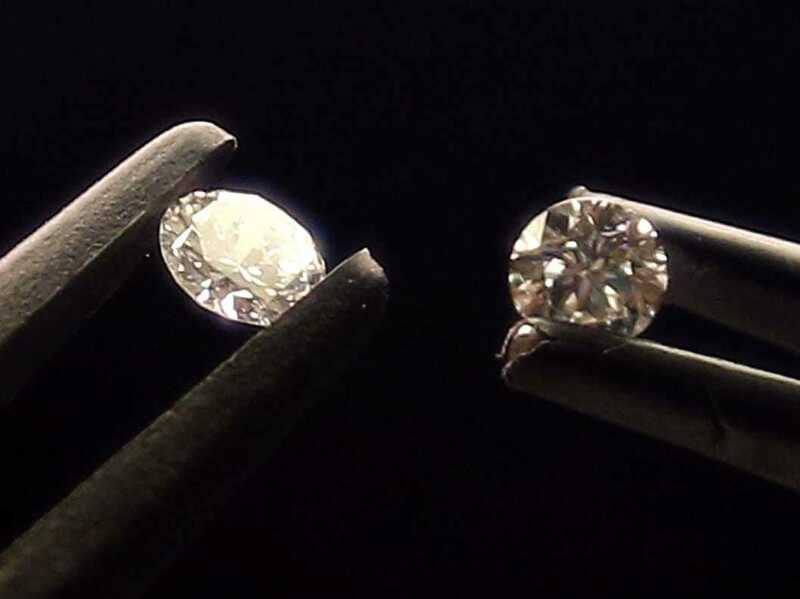 Diamonds are much harder than topaz, however, which can wear down and scratch over time making it dull or cloudy. White sapphire — We usually think of sapphires as being blue, but this gem can also be white. Just like topaz, sapphires are prone to more damage than diamonds and do not have the same fire and brilliance of a true diamond. Cubic zirconium — Mass-produced since 1976, cubic zirconium scratches easily and does not have the same fire and shine as diamonds. Moissanite — Moissanite is harder than cubic zirconium and these stones are visually dazzling. The main difference is that moissanites have a different brilliance than a diamond where you can see rainbow colours within the stone, giving it a disco ball effect. 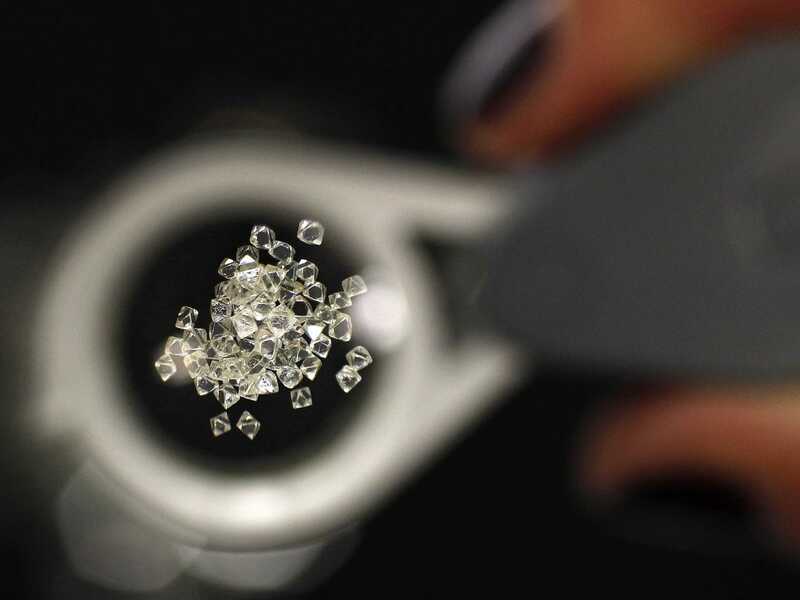 Lab grown — Lab-grown diamonds are technically “real” diamonds both chemically and physical, but they will not fetch for the same price as a mined diamond. Hirsch says they usually sell for about 20% to 30% less than a traditional diamond. So the next time you run across something you think is just cheap costume jewelry, it’s important to test it — just in case. This entry was posted in DIAMOND TESTING, FAKE DIAMONDS, HOW TO, VIDEOS AUDIOS on January 20, 2015 by Henry.